If you have ever found a book spoiled by its ending, you know it’s important to learn how to end a story well. Here are 8 pointers on how to end a novel. When you’ve written a draft ending, submit it for writing critique. Ending your novel requires many decisions. 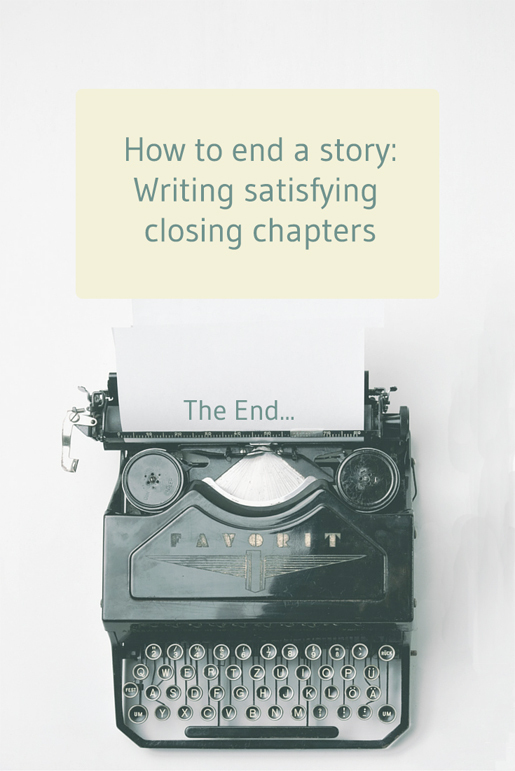 Will your story ending be happy, sad or somewhere between the two? Will you tie everything up, or do you plan to leave loose ends? If you are leaving loose ends, what purpose do those loose ends serve: Is your book an installment in a series? If you’re leaving your reader with questions, what will those questions be? How do you want your readers to feel once they set your book down for the last time? A story that is completely resolved in the final pages can sometimes feel too pat. Choosing an appropriate ending also requires understanding the conventions of your chosen genre. For example, literary fiction tends to have endings featuring all degrees of resolution. Some literary endings leave core plot conflicts unresolved. By contrast, your mystery readers are going to be unhappy if you leave major plot points hanging. It feels unearned. The book spends a great deal of time developing the relationship between Laurie and Jo. The professor and Jo’s feelings for him seem to come out of nowhere. It feels like a betrayal of Jo’s character. Even if Jo doesn’t end up with Laurie, the professor does not seem like the type of man she would marry. It feels rushed. The novel has a leisurely pace for the most part. Yet near the end Alcott seems focused on wrapping things up for the March sisters too quickly. From Little Women, we learn that we should consciously set up events that will happen at the end early in the book. You can do this either from the outset (with planning) or during the revision process. Little Women was originally published as a serial, and it is entirely possible that Alcott did not have the entire story worked out, including the romance of Jo and Professor Bhaer, when she began writing. By contrast, this is a story that ends on a perfect note. Joyce’s story concerns an Irishman who discovers that his wife is pining, and perhaps has pined throughout her life, for a young man she had fallen in love as a teenager who died as a result of coming out into the snow to try and meet her. The word choices and rhythm of Joyce’s language here have the effect of poetry. The repetition of the letter s and the words ‘fall and faint’ as well as the repeated imagery of things falling or descending create a mood within the reader that is appropriate for the melancholy feel of the story. This is a literary story, and within the context of the story, it works that Joyce does not neatly resolve the situation. From The Dead, we learn that it is not always necessary to wrap everything up in a tidy ending. We can also learn about how word choice and rhythm work together to make a story ending just feel right. 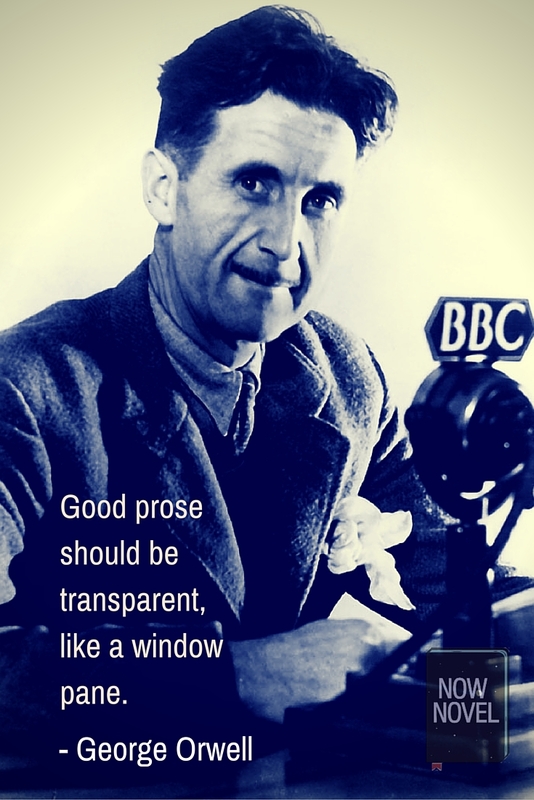 Orwell’s novel is a cautionary tale about totalitarianism. It would make less sense to end it on a note of triumph because the point of the novel is to demonstrate just how terrifyingly dangerous this type of government can be. The ending reinforces the message that a government that has free reign to abuse the resources at its disposal can break individuals at will. 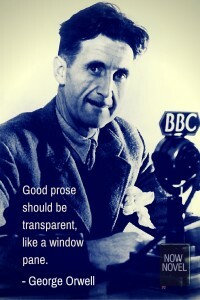 While there is suspense as to whether or not Winston will be successful over the course of the novel, on finishing the novel, it seems clear that he never truly had a chance against the government. The world created in 1984 is a brutal, merciless one, so Winston’s fate is consistent with the tone of the novel. From 1984, we learn that it is possible to write a novel that is both artistically and commercially successful with a downbeat ending. This book is also an excellent example of one that leaves the reader feeling satisfied on reaching the end. This is because even though there is hope for Winston earlier in the book, the downbeat ending seems inevitable in retrospect. A happy ending would have felt like a compromise. There’s no definitive example of how to end a story best. Even so, when you revise, ask yourself whether your ending is consistent with the rest of your novel. This is not just a matter of plot and structure. Your ending also needs to be tonally consistent. A raucous comic novel that ends on a note of high drama might confuse readers if there’s nothing to forecast this development. Additionally, your characters should not start behaving radically different in the final quarter of the novel simply in order to move the plot forward. You also should make certain that you have not set up expectations earlier in the novel that do not even receive a nod in closing. These are two important elements of a satisfying ending. In a character-driven story, your protagonist should be central to whatever catalysing event sets the climax in motion. To create a strong sense of character development, your novel’s protagonist should emerge a changed person. In some cases, as with Winston Smith in Orwell’s 1984, a character may be irretrievably broken by their experiences. This is the basic closing structure of many a moving tragedy. There are exceptions to nearly every rule about writing, including rules on how to end a story. As an example, active protagonists are often preferred to passive ones, but there are many stories with effective passive protagonists. This works best when the author has an express intention behind choosing this character type. In other words, the protagonist’s passivity is central to the point of the story. The novella The Metamorphosis is an example of a story with a passive character that works. In Franz Kafka’s story, Gregor Samsa is a salesman who is transformed into a cockroach overnight. One of the main points of the story is that Gregor is a man who simply lets things happen to him, and his quiet acceptance of his situation in supporting his family is carried on in his acceptance of his fate as a cockroach. Gregor changes little in the course of the story, but his family does a great deal as they realise they can no longer rely on him. Therefore, Gregor’s transformation is a catalyst for change that makes sense given his character type. Sometimes a story ending simply feels too abrupt. You aren’t prepared for it, or there are not sufficient markers suggesting the ending is imminent (besides unread pages decreasing). A momentous change for a central character. This might be moving away or a homecoming, the arrival of a new relationship or another significant event. A climax. This may seem obvious, but it can be easy to leave out this final rising action when you are trying to wrap up all the loose ends of your story. There is no set rule for how to end a novel but learn the techniques and devices available to you. This will make it easier to write effective endings. You need to balance making your readers want to pick up the next book with not frustrating them. Decide how much satisfaction to give them when you come to wrapping up subplots. Which ones can you wrap up and which ones will you leave dangling to create anticipation fpr future books in your series? What major hook will draw your reader on to the next novel? Will it be a complication that has been developed throughout the novel? Or rather a new complication that arises near the end to be fully developed in the next? Another consideration to keep in mind is that characters in a series may not change at the end of every novel. In fact, in a long series, this would start to feel tiresome. It is more likely that the big arc of character change will occur over the entire series with smaller changes throughout individual novels. Endings can make or break a novel, so it’s important to get the ending right. Your ending should be consistent with the characters and plot as set up throughout the rest of the novel. Your protagonist should be a major player in the way the novel ends and needs to undergo a change. Finally, remember that there are slightly different considerations when you’re ending a novel in a series versus a standalone book. If you have written an ending to your novel and find it unsatisfying, go back and ask yourself if you have been consistent. 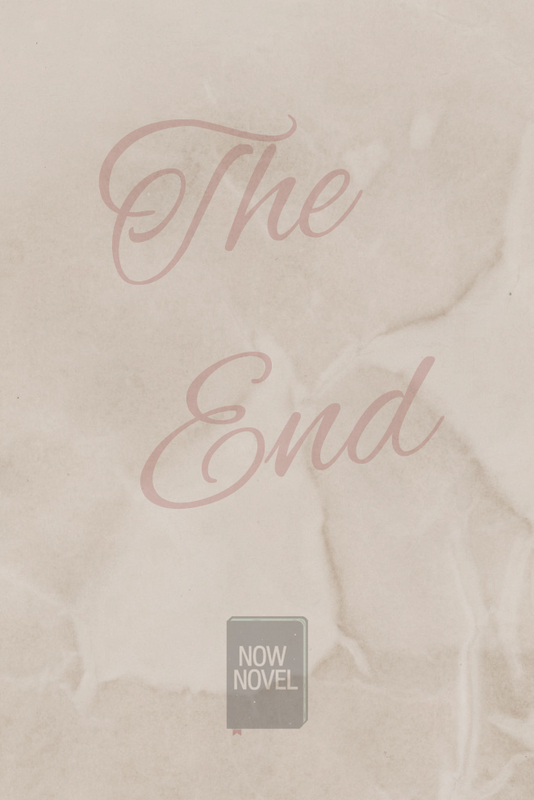 Sometimes, the key to figuring out why your ending doesn’t work lies much earlier in the book. Join the Now Novel community now to get constructive writing feedback and improve your story endings.